This is saying something. 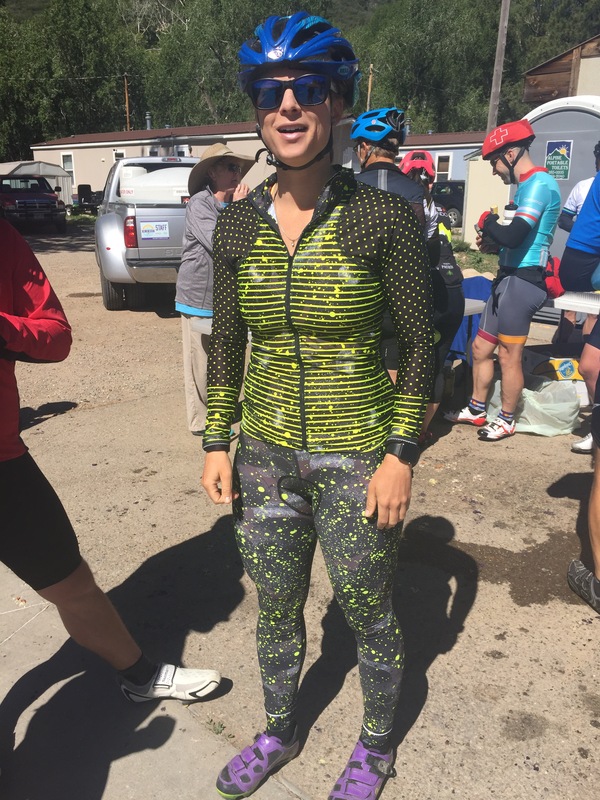 Wednesday morning, the mobile RTR community will tackle More than 83 miles and 10,000 feet of climbing from Durango to Ridgeway, Colorado. The first day was 93 miles, all into a headwind, including the climb of 10,856-foot Wolf Creek Pass. 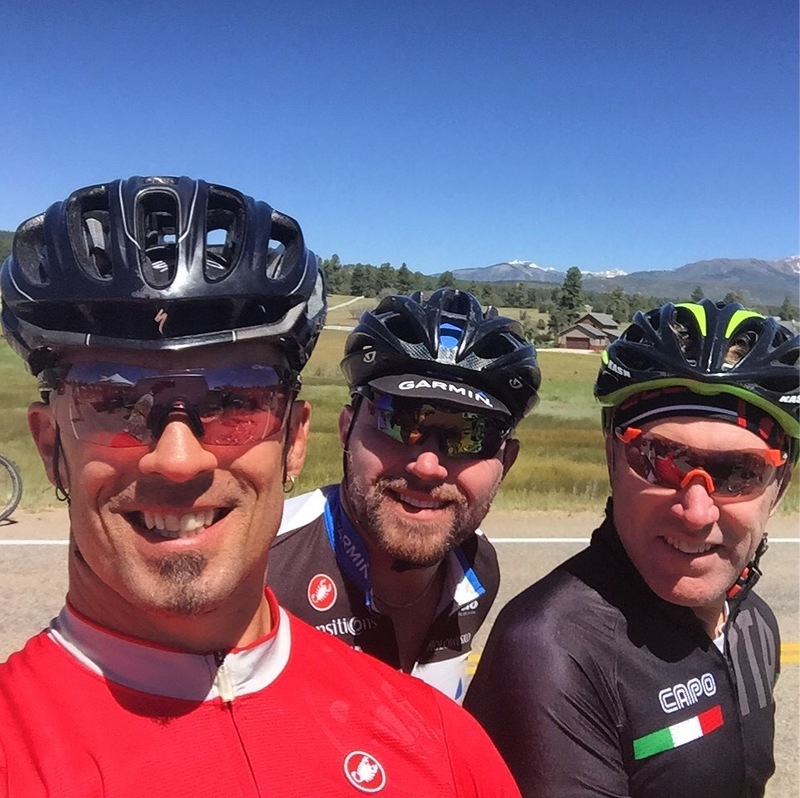 While the riding is challenging, many of us do it for the memories and friendships we acquire along the route. I met Greg and Donald on the 2015 ride. Last year, I got to ride with Donald, again, and we were able to introduce one another to our spouses. This year, Greg returned to the Ride from the much flatter Dallas area. We are eating and joking and have the time of our lives on bikes. We’re also meeting both new and old RTR friends. I’ve found all three of the ladies who helped run the ride last year, one of whom is riding this year, rather than organizing. We’ve been helping Clark, the smoothie vender make a little money. Clark is always quick to help out, extend a little credit, when we’re tired and a little spacie coming off the route. We’re making new friends like the young lady with the space/polka dot kit. And then, there is the scenery. While the climbing is tough, the long hours on the bike gives one lots of time to reflect on Colorado’s natural beauty. Tree lined highways and grand vistas are around every curve. Historic architecture decorates each stop along the route. The towns hosting the ride go all out to entertain and feed the worn and occasionally dilirious riders. What more could a rider ask? The current situation, as I’m writing, is that I’m on a sleeping pad in Durango, preparing for the long climbs of Wednesday. So . . . This entry was posted on June 13, 2017 by Walt Out West. It was filed under Cycling photography/photography while cycling .